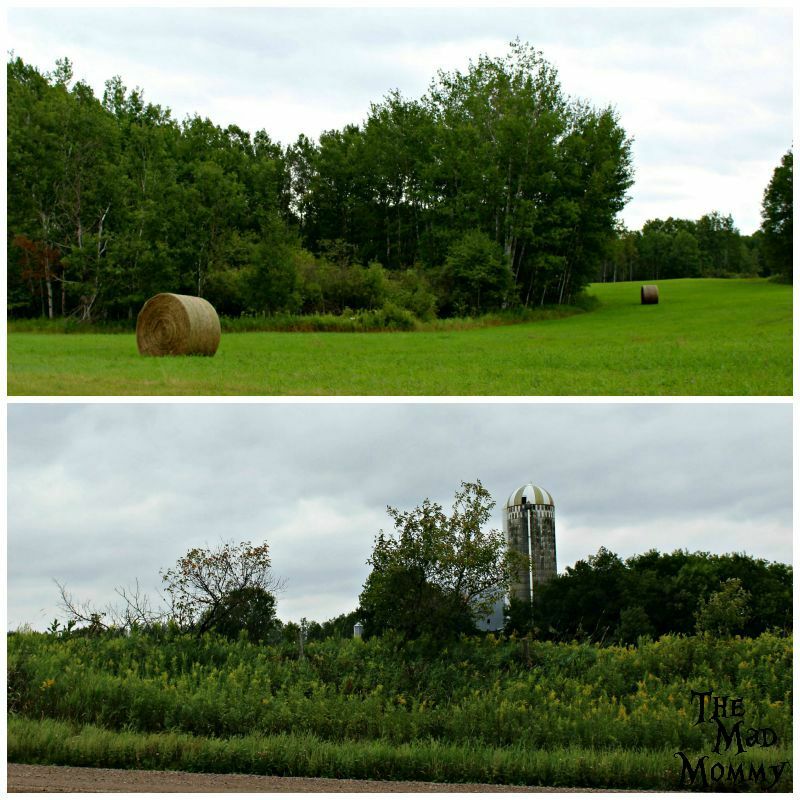 Summer has officially come to a close and it is time for me to share our very last summer adventure. I didn’t know how we were going to top the others, but I think we pulled it off. We had a family reunion the other weekend, about 2 hours away, up north. We told the kids that we were going to that. 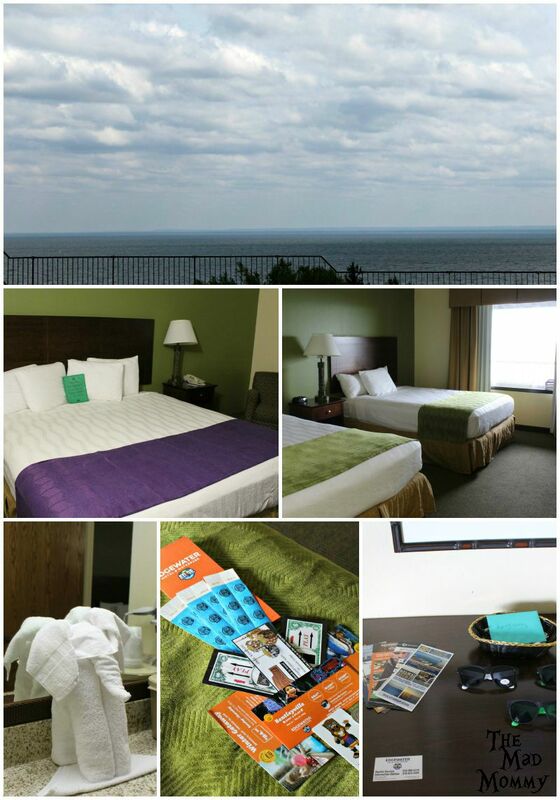 What they didn’t know was that we had booked a hotel room at a water-park on the shores of Lake Superior in Duluth! That’s right! We packed up the kids and hit the road first thing in the morning! We even made it extra special by getting donuts and strawberry milk for breakfast. The kids were over the moon. 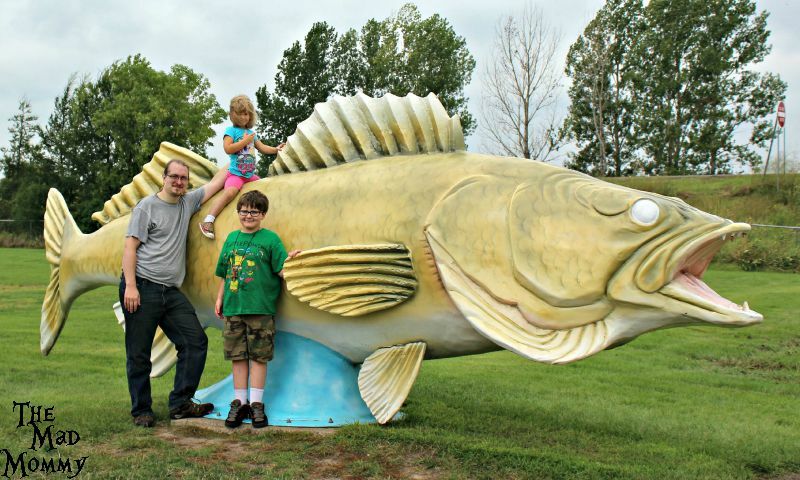 We stopped for gas in a small town called Rush City and apparently, they have the World’s Largest Walleye, so we had to stop and take the obligatory, touristy family photo! And then, of course, there was this gem! This one shows my families true colors! Our family reunion was out in the country. Man, I love being out in the country. Everything is so beautiful and peaceful, but to be honest, my husband and I were itchin’ to get up to our real destination! After we had lunch with the family, it was only a 45 minute drive to our hotel on Lake Superior. 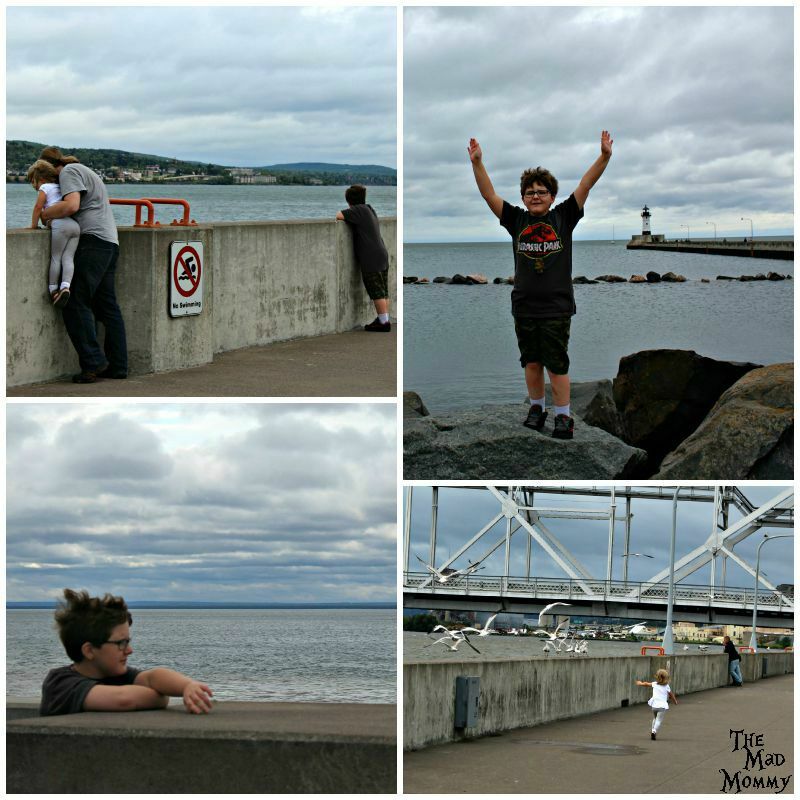 We stayed at the Edgewater Hotel and Waterpark in Duluth and as soon as we arrived, we knew we’d be happy. Check-in was quick and easy. The gave us a welcome packet with our wristbands, coupons and tokens for BOGO drinks at the bar and coffee shop! They also had a cute welcome in the room for us! Way to win a mama over! I was, seriously, blown away by the view from our hotel room. If you follow me on Instagram or Facebook, then you already got a sneak peek, but man, is it gorgeous! Of course, the kids couldn’t wait to hit that waterpark! We couldn’t either, so this is where we spent most of our night! It is a pretty sweet indoor waterpark. The next morning, after enjoying the breakfast buffet, we checked out of our hotel room and headed down to Canal Park. Have you ever seen anything so beautiful? It was a partly cloudy, windy and chilly day, but we still made the most of it. 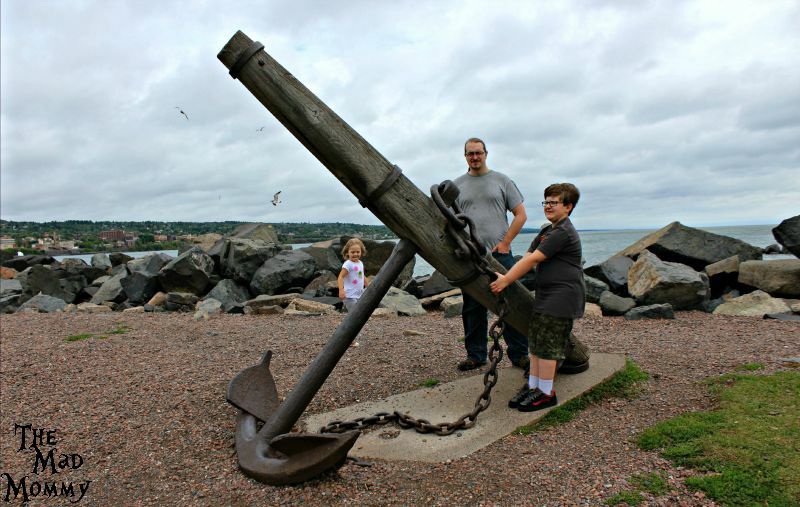 My son tried to be Thor and move a giant anchor. I also made them pose for another obligatory, touristy family photo! All I know is that we all felt it on Lake Superior. We all felt the wonder, the power, the peace and the freedom that such a beautiful place can provide! I, truly, from the bottom of my heart, loved this trip. I don’t think that I have ever soaked in tranquility like I did at Lake Superior. I mean, come on, how could you not?! There you have it! 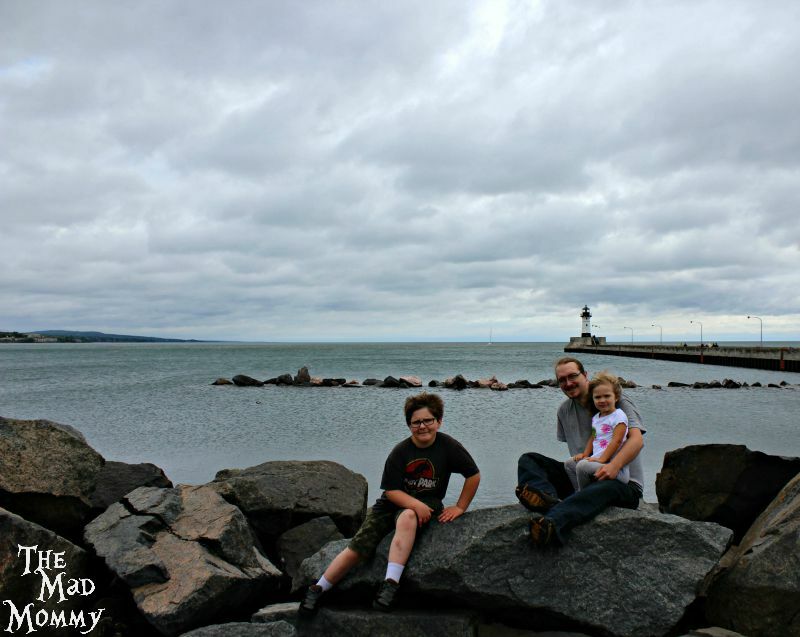 Our final summer adventure to Duluth and Lake Superior. I hope that you have enjoyed sharing in our adventures and I also hope that you found some local adventures of you own! 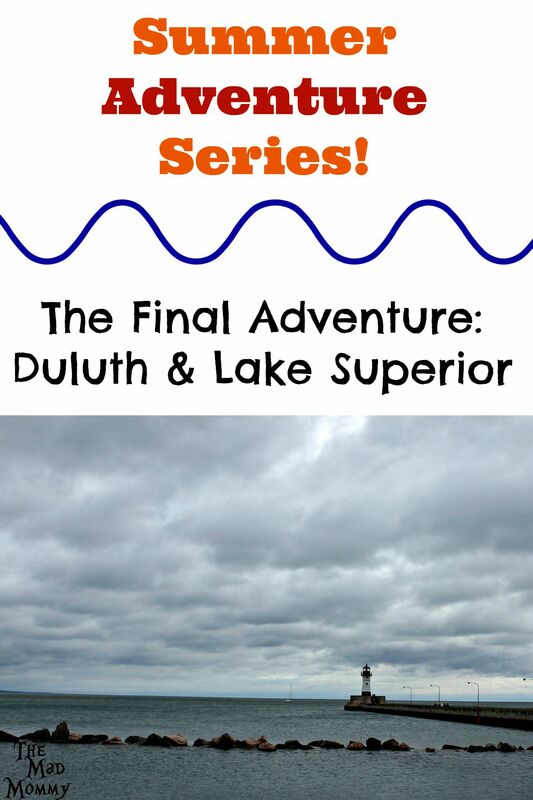 Our final summer #adventure to Duluth and #LakeSuperior. I hope you’ve enjoyed the ride! It was a great trip! Although, I wish it could have been a little longer! This was our first indoor water park experience and we LOVED it! Looks like you guys had an amazing trip and the fist picture still has me dying lol. So glad you guys got to enjoy one last summer adventure! We had a blast! Oh man, I was dying when I edited that fish picture! So funny! We did have a great time! Thanks for stopping by, Steve! This makes me SO happy. I had to have that last hurrah of summer too! It was really important (and expensive) but mostly important and worth it. I love the photos of your family just having fun and being themselves. You HAVE to come visit us someday! 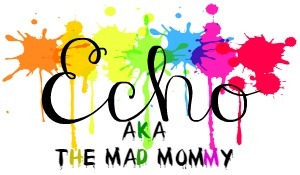 This one was spontaneous and expensive too, but I am so glad we did it. We all needed a fun-filled experience together! I love seeing your family’s pictures too and I can only image the fun that we would all have together! I swear, we will make it happen! And I follow the dont feed the seagulls rule religiously! Isn’t that picture AWESOME?! I love it. Definitely, DO NOT feed the seagulls! They are ravenous man! We really did have a fun and amazing time! Wow! What an awesome trip! I love the photos – how fun! That towel elephant and the hotel goodies blew me away. That’s service! They really did treat us so well! What a nice experience! Great pictures! It sounds like an awesome little get-away trying to bring summer to a close. It really was a great way to end summer! 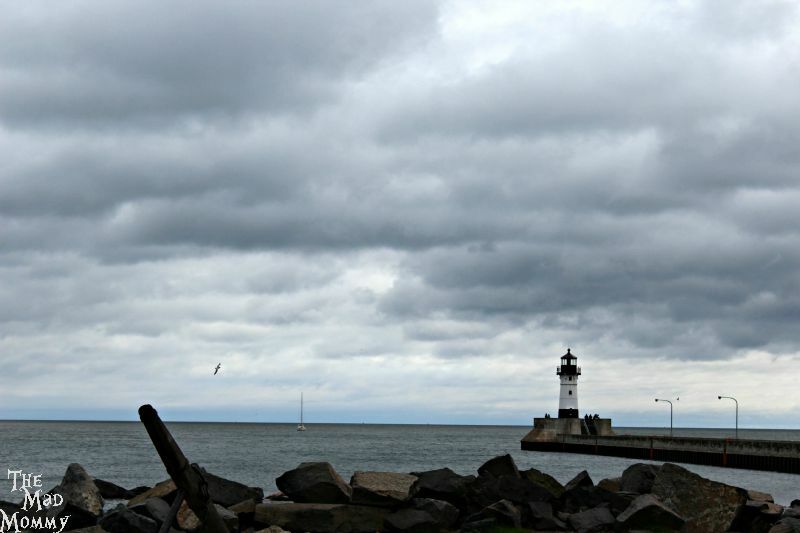 It’s always good to see pictures of Duluth. I lived for there for 6 years. It’s great in the summer, but look out in the winter. 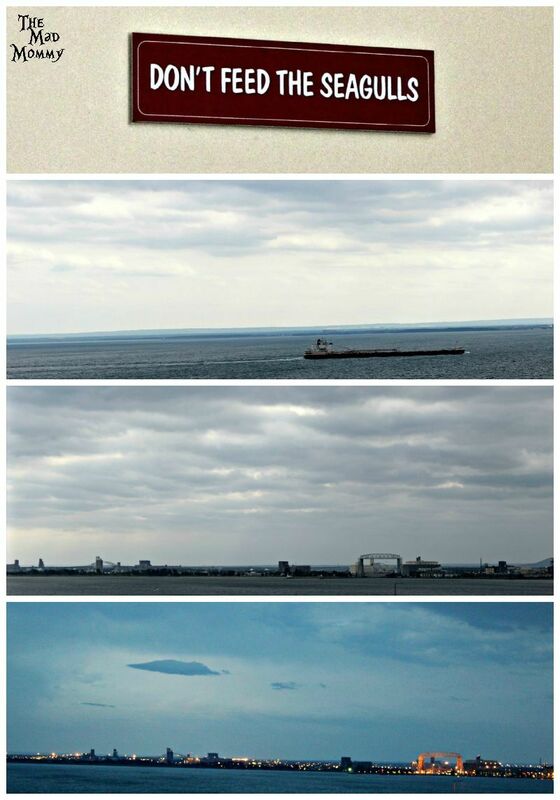 Duluth and Lake Superior is so beautiful! I loved the walleye pictures! You guys have so many fun indoor stuff up their. I want to visit one day. It looks like you had a great time! You should! Come see us! We have to have indoor stuff because of our winters, LOL! 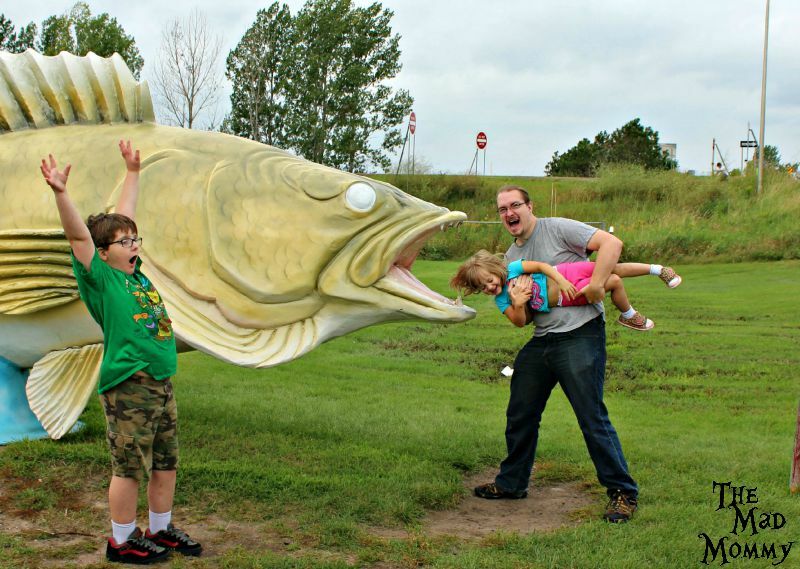 That walleye creeps me out! 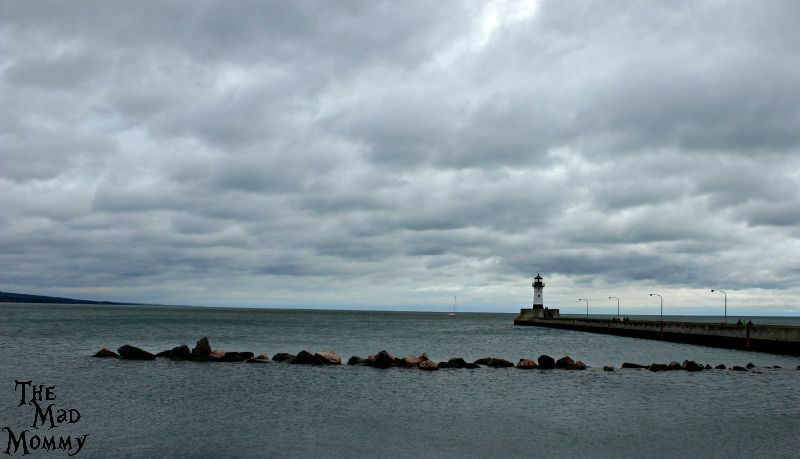 Lake Superior is the only Great Lake I have not seen in person. I have big plans for a Mackinac Island and UP trip. One of these days I will get to see it!